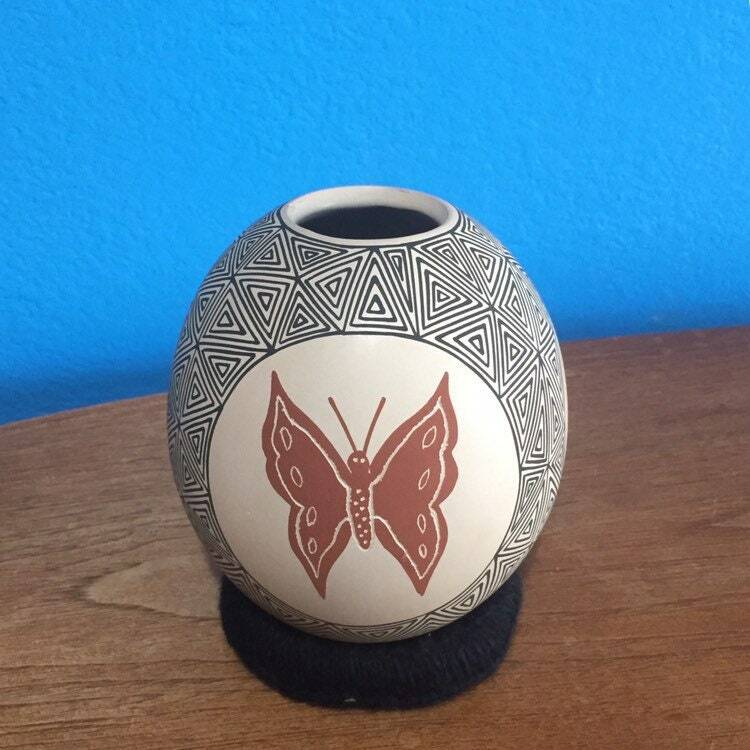 This beautiful Olla is handmade using the coil method and signed by master potter, Lorenzo Quezada from Mata Ortiz, Chihuahua, Mexico. 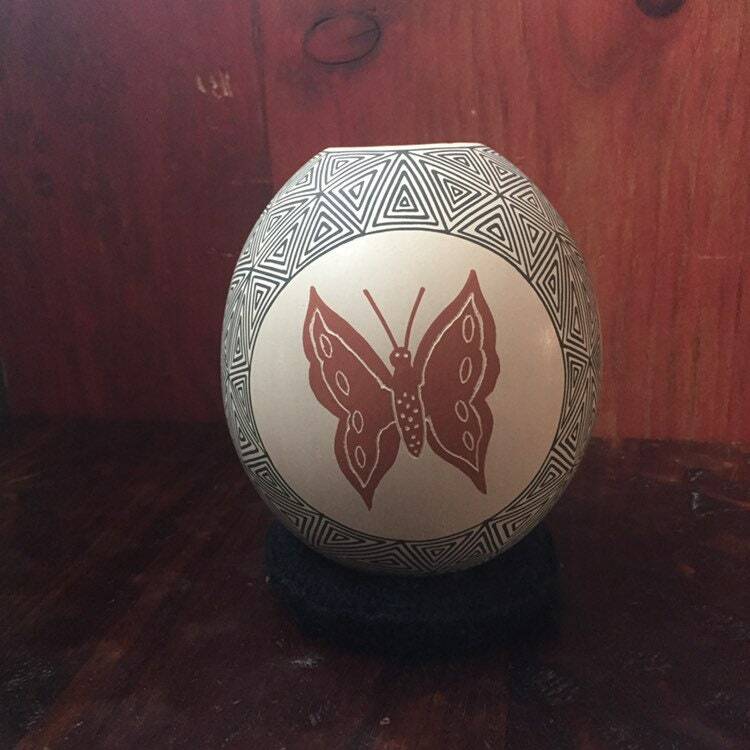 It is approx. 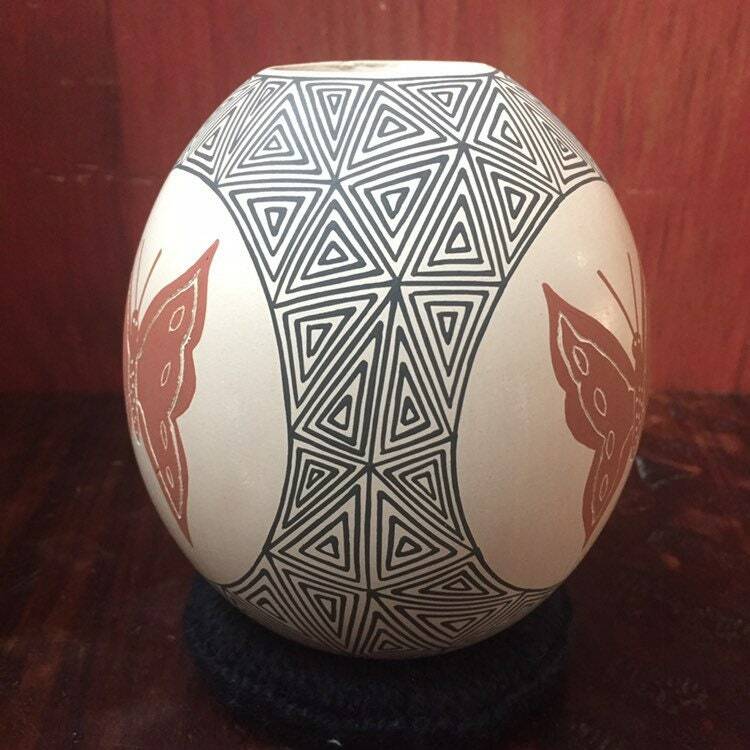 5" high and 4" diameter. 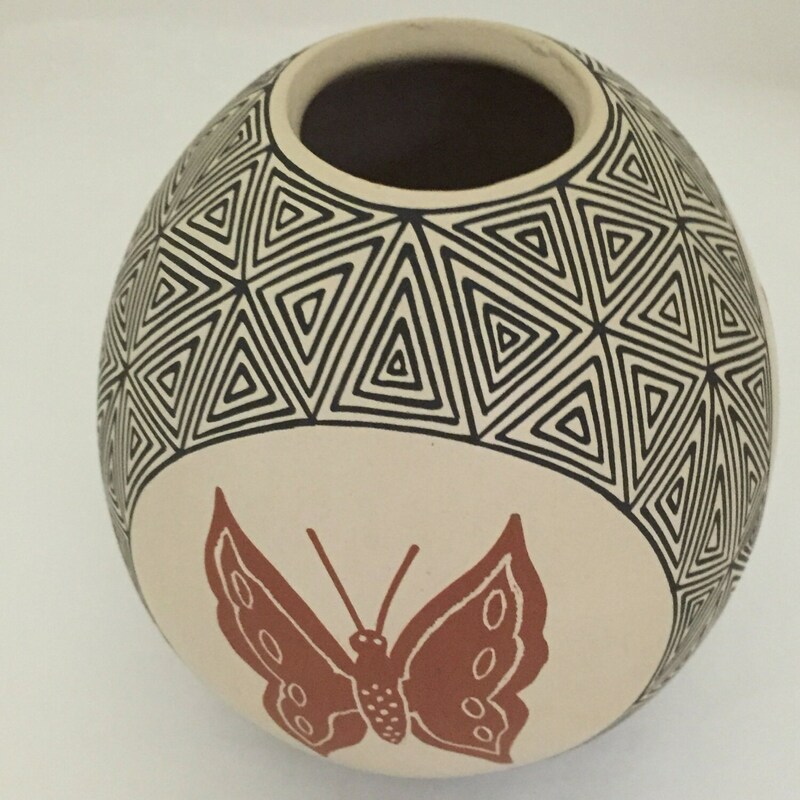 This gorgeous ceramic olla is handmade with ancient traditions from the village of Mata Ortiz in Chihuahua, Mexico. 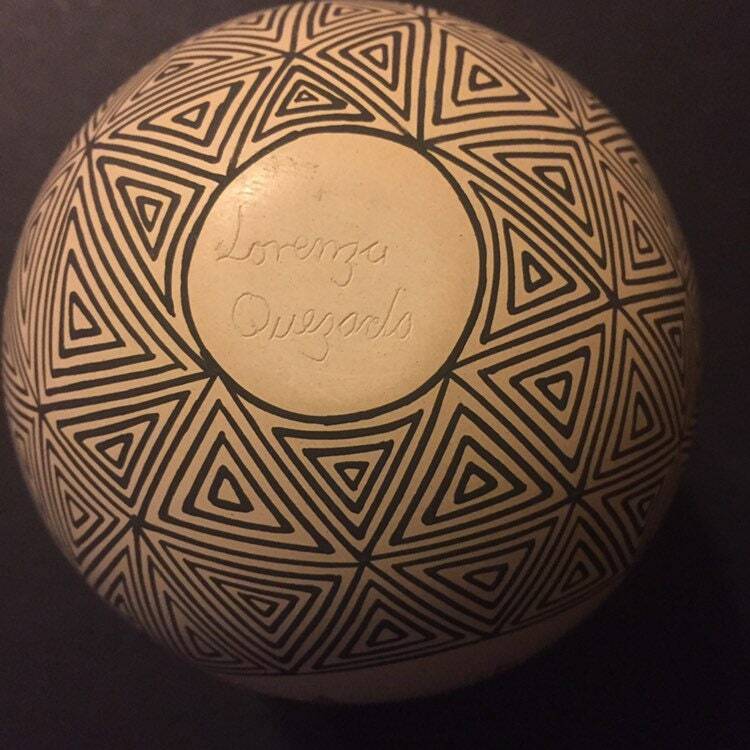 Very collectible and unique. 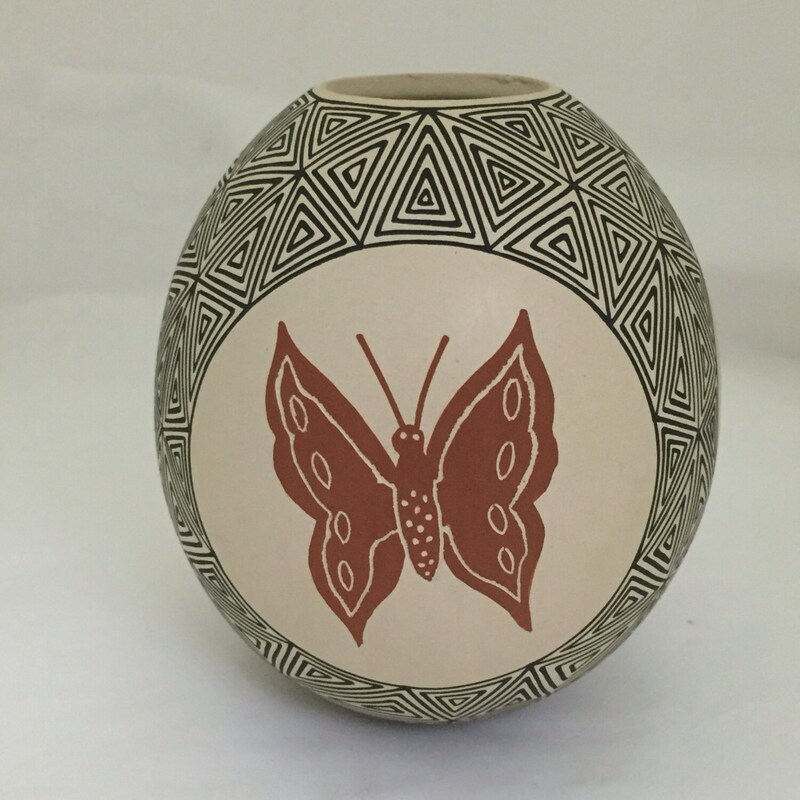 The clay is mined from the Sierra Madre Occidental mountain range, painted with handmade paints from natural pigments, and hand-coiled. 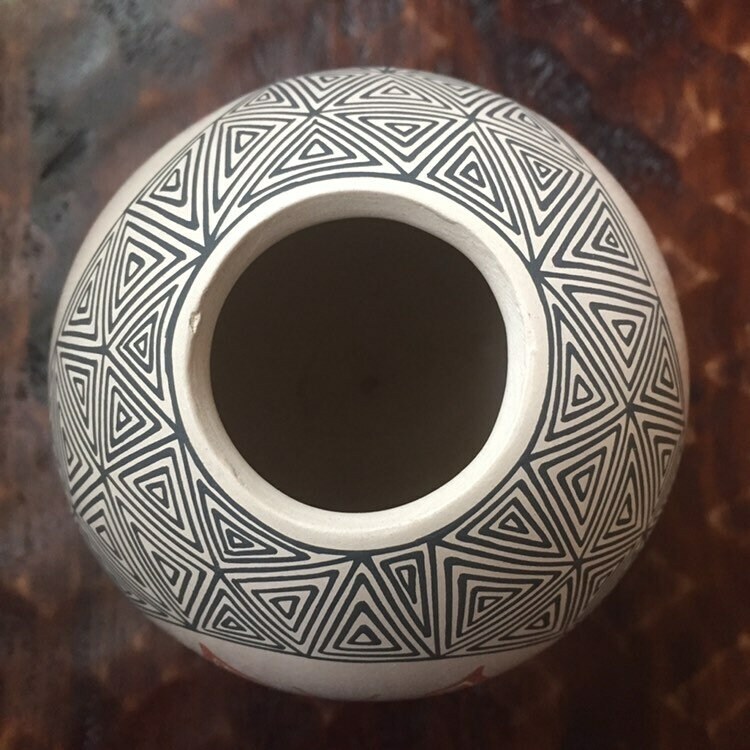 This olla has fine detail and will be perfect for anyone's pottery collection. 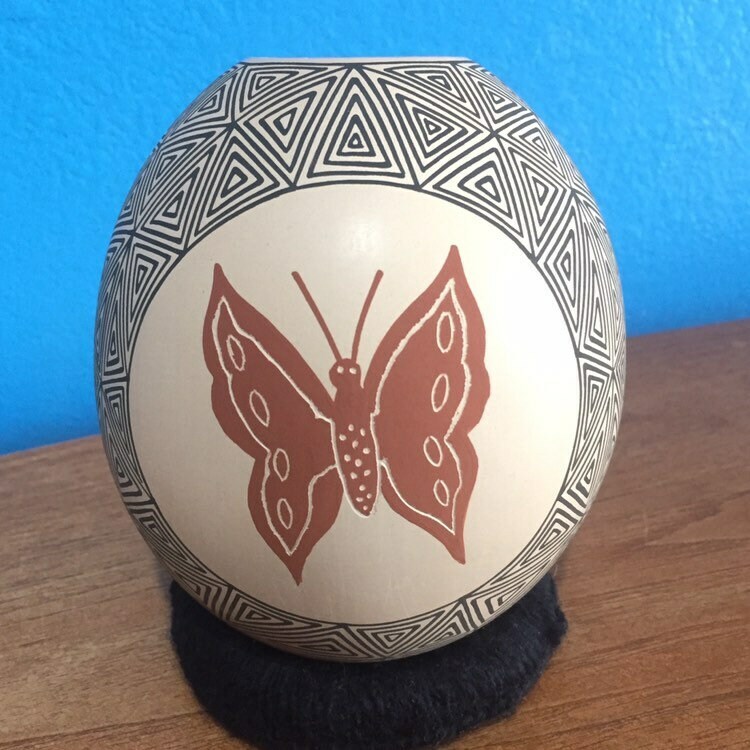 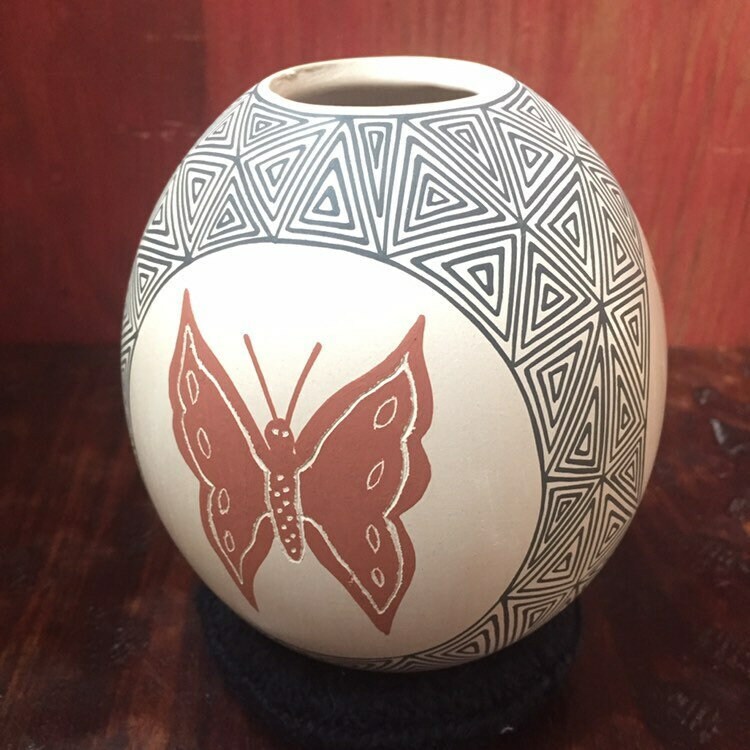 This decorative ceramic olla is decorated with black and white geometric patterns with burnt orange butterflies. 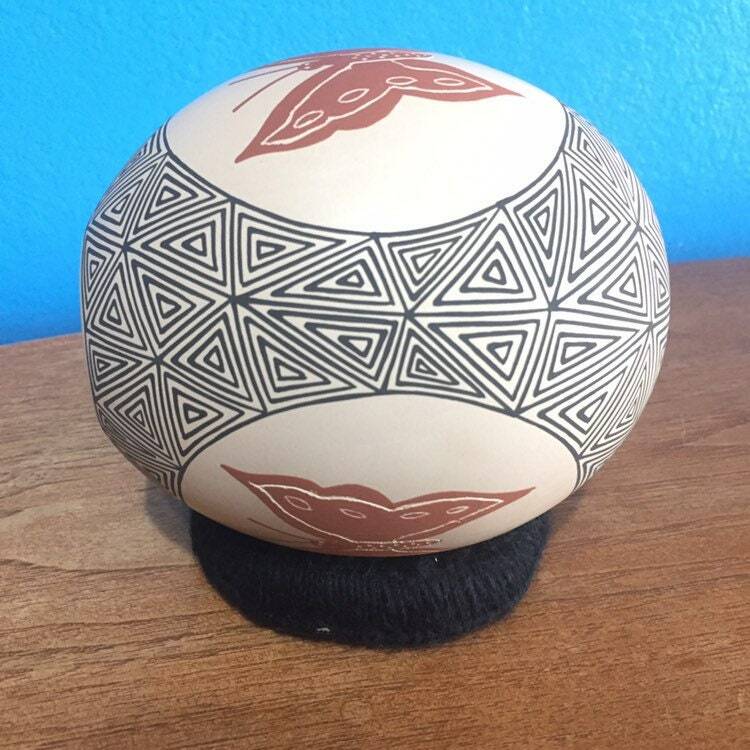 Includes pottery ring.